Tis the season for grilling! 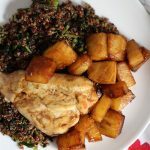 Grill up a big batch of chicken breasts over the weekend and then use it throughout the week in these recipes. 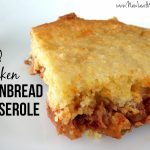 They’re different enough that you won’t feel like you’re eating leftovers! Here’s our secret for marinating chicken: Simply combine chicken with a packet of McCormick Grill Mates seasoning and a little bit of olive oil. (Our favorite seasoning packet flavors are Chipotle and Mesquite.) Use just enough olive oil to form a paste. Using a seasoning packet may feel like cheating, but when you see how amazing the grilled chicken tastes, you won’t care. 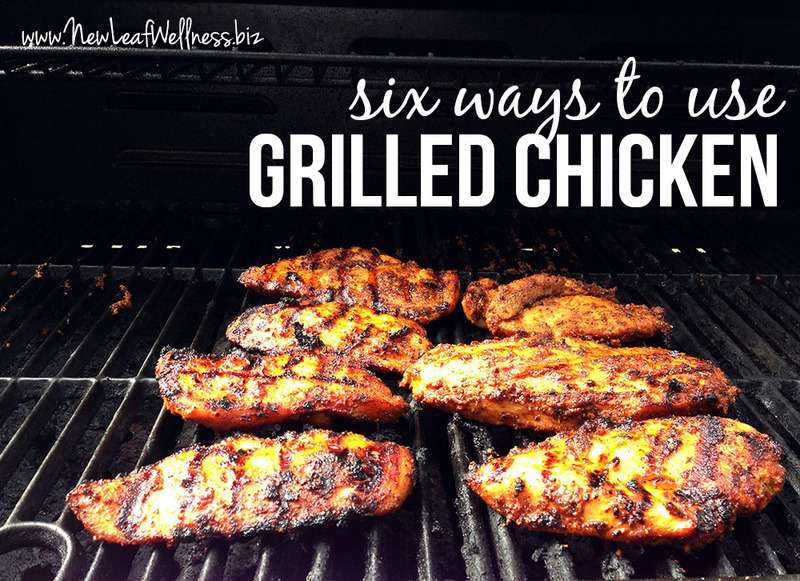 Here are six ways that I reuse grilled chicken in another meal. 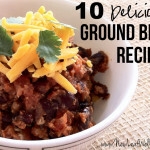 Grill up a big batch over the weekend and you’ll be set for the rest of the week! Making grilled chicken tacos with leftover grilled chicken is so easy, and the tacos taste fresh and amazing! Simply top taco-sized tortillas with grilled chicken, lettuce, tomato, and freshly shredded cheddar cheese. Sour cream and avocado are also yummy additions. This is our basic grilled pizza recipe. 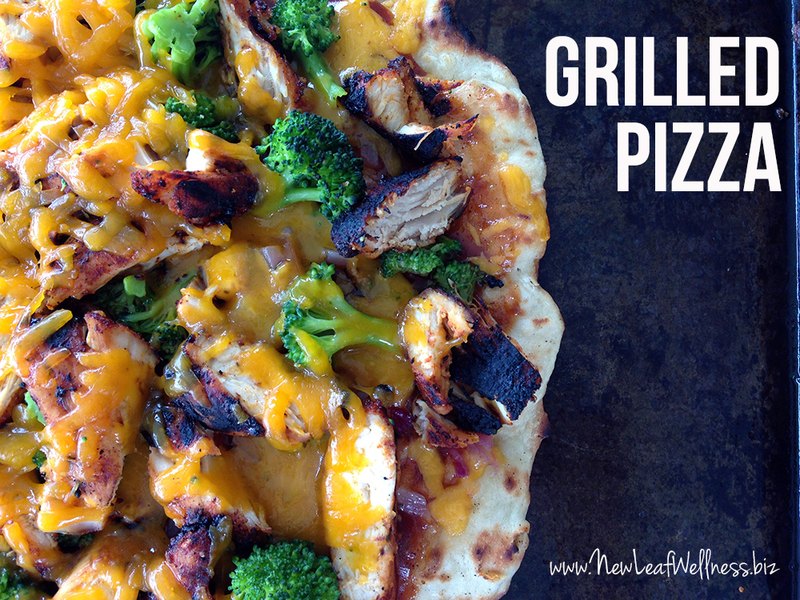 Topping a pizza with grilled chicken is a fun twist on the typical pizza recipe. Plus the grilled chicken has less fat than the typical meat toppings, like sausage and pepperoni. Last weekend we made two pizzas – 1) a BBQ chicken pizza with red onion, broccoli, and cheddar cheese and 2) a BBQ chicken pizza with pesto and mozzarella cheese. I love making calzones so much that I included two calzone recipes in my ‘15-Minute Freezer Recipes‘ cookbook (Ham & Broccoli Calzones and Mexican ‘Chicken’ Calzones). Calzones are so fun and easy to make. I think of them as homemade “hot pockets” that are perfect for eating on-the-go. Here’s my recipe for chicken pesto calzones. Calzones also freeze great, so these would be a good thing to make if you’re sick of eating grilled chicken and want to save some for another day. Since they’re packaged individually, you can re-heat one at a time. Throw together a fresh salad with your favorite seasonal vegetables. My favorite salad includes lettuce, sliced tomatoes, carrots, cucumbers, and (roasted) beets. Top with some freshly shredded cheddar cheese and sliced grilled chicken and you’re good to go. Boil some of your favorite pasta and top with grilled chicken and steamed broccoli. Chop some extra grilled chicken and mix it with mayo, mustard, and salt and pepper. I love to eat chicken salad on a whole wheat pita. Just add pieces of lettuce and tomato. YUM. What am I missing? What’s your favorite way to eat grilled chicken? Plain with BBQ sauce, corn and wild rice. And also on a grilled chicken sandwich- nice artisan buns, arugula, onion and tomato. Yum! Love it all. Im eating one solution right now- and Eli loves it too! Shred up the chicken, toss with a chopped mango, a can of drained sweet corn, a can of drained black beans, a diced red bell pepper, some lime juice, cilantro, and a packed of Good Seasons Italian Dressing seasoning (or just italian seasoning if that's what you got). Its good on chips, in a pita, on crackers with some cheese, or Eii just finger feeds it. 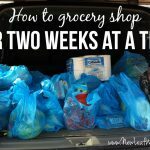 @SweeterSideMom- I love BBQ chicken too. So many options! It's only 8am and just thinking about it makes me want to eat some right now. haha. @Meg- That sounds amazing. What a great combo. Thanks for sharing! !